** Limited to just 1000 copies signed by the author! **. Tracklisting / Additional Info: The third book in this series is about the Famous Charisma label which was founded by Tony Stratton Smith in 1969. Limited edition of just 1000 copies with each copy signed by the author. This book, the third in 'The Famous British Collectable Record Labels' series, concentrates on the Charisma record label. Also featured is B&C Records, which had been closely associated with Charisma label for more than five years. So, after the main story, a brief outline of B&C Records and its subsidiary labels like Stable, Pegasus and Mooncrest follows, beginning with its launch in 1963. Getting ground in music recording industry, B&C promoted artists, which performed ska, bluebeat, rock-steady and, a bit later, reggae music. So, also covered are a number of B&C subsidiaries, the most prominent of which was Trojan Records, and also such interesting labels as Treasure Isle, Amalgamated, Big Shot, Down Town, Clandisc, and others. 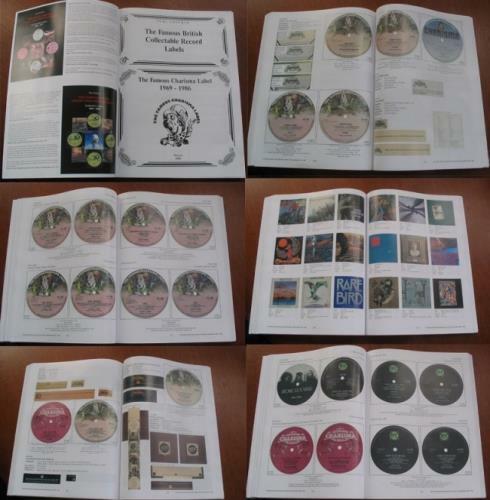 This book, as well as the previous books in the series, offers an extensive description of the label designs of the above mentioned record-labels, all provided with illustrations. 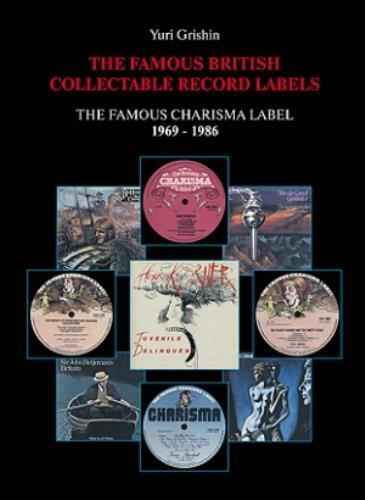 Practically all the albums mentioned in the book are much in demand with record collectors. The book also contains interviews by artists and engineers, namely Martin Cockerham, the founder of the British folk-band Spirogyra, singer/songwriter and guitarist Keith Christmas, and mastering engineers John 'Jonz' Dent, George 'Porky' Peckham and Tony 'Tone' Bridge. It would not have been possible for the interviews with John, George and Tony but for the help of Denis Blackham (from Skye Mastering). We are sure that this book will receive a warm welcome from record collectors and fans of British pop-music of the 60-70s alike, just like the previous volumes - �Island Records 1962 - 1977� and �Harvest Records 1969 - 1980�.